Virtualization has enabled a new generation of datacenters. 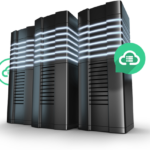 Instead of running workloads on dedicated servers, you can run multiple workloads on larger, more powerful servers. Thus, server virtualization technology can help your organization achieve considerable cost savings and operational efficiencies. By integrating virtualization solutions, your organization can go beyond basic virtualization features and benefits—such as consolidating server hardware—to create comprehensive platforms for private clouds. For many organizations, a highly virtualized datacenter realizes improved utilization, reduced floor space requirements, and reduced power costs. You can add highly agile and flexible services to that foundation with private and public cloud solutions. Whether you want to virtualize, build a private cloud, scale your services through a public cloud, or mix all three, virtualization and virtualization management solutions can help you better manage your datacenter today and accelerate your journey towards cloud computing. Your datacenter is a dynamic environment. With virtualization, you can deliver highly available, high-performing services across your infrastructure. You can optimize your datacenter resource utilization through dynamic responses to workload demands, including cross-site business continuity and disaster recovery. Using advanced virtualization and management capabilities, you can implement business continuity solutions to minimize downtime and improve service reliability. Standardizing and automating your datacenter processes is key to lowering costs and improving service reliability while preparing you for highly automated cloud computing models. At the same time, regulatory pressures drive up compliance costs making automation critical to keep in line with operational budgets. Virtualization enables organizations to improve their operational efficiency and compliance by delivering datacenter automation capabilities and solutions. Private cloud solutions provide the benefits of cloud computing through resource pooling, elasticity, and self-service, while offering deep insight into applications, cross-platform support, and the ability to extend workloads between Microsoft private cloud and public cloud environments. Simplify management, maximize operational efficiency and increase IT and business agility through virtualization management. Rein in server sprawl as you manage and monitor virtual machines with different operating systems, including Windows, Linux and Netware, on a single virtualization platform.